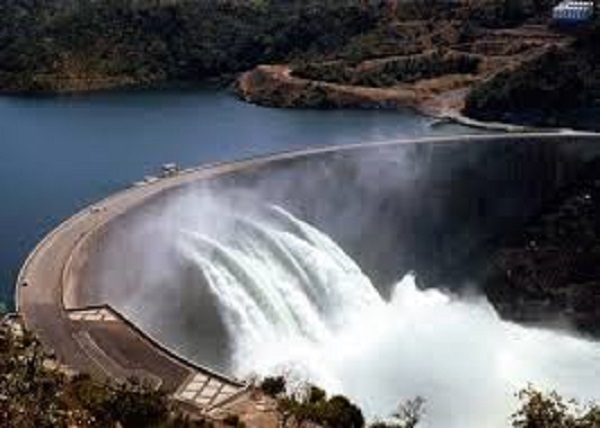 ZIMBABWE – It is unlikely that the dam levels can be expected to recover much before February 2016, which could result in the power stations being closed completely – leading to severe power shortages in both Zimbabwe and Zambia. Then after sleeping at the wheel for two years while Zambia used their newly installed power generation capacity at Kariba, which is over 80 per cent above sustainable water flows in the River system, the authorities suddenly woke up and realized that if this went on any longer, they would soon be sucking air. Well, too late and now on top of all our other problems we are going to see Kariba down to 275 megawatts and Hwange drunkenly staggering along at 500 megawatts in a country where full demand is 2 200 megawatts. This is going to be a dark Christmas for everyone. Given the signs of regional drought, if water levels in Kariba do not recover this season, then we are in for a protracted period of totally inadequate power supplies. This is going to further reduce economic output across the country and create mini crisis points in thousands of homes as people try to wash and cook and make enough light to read at night. For the poor this is just another pressure point that will reduce their spending power, already down by up to a third in the past two and half years, even further. In 2008 the extent of the crisis was masked by inflation and our ability to print or “burn” money (a phrase used to describe trading in the local currency). It was also masked by a massive effort by the international community, led by the USA, to feed (physically) over 70 per cent of the national population. At that time there was also some hope that the political situation would change after MDC won the 2008 elections and Mugabe was forced by regional leaders to go into a GNU with their hated opposition. Had South Africa stepped into the ring in 2008 and insisted on a real transfer of power to the MDC, I have no doubt at all that today we would be in the throes of a rapidly developing economy with rising incomes. These are all reflections of failed national leadership and the inability of continental and regional leaders to pursue policies and strategies or even to take decisions on key issues is simply astounding. We can pass decent Constitutions that include many features that the US “Founding Fathers” would have been totally comfortable with. We can develop and adopt high sounding statements on every subject you can imagine, from human trafficking to gender violence. However they all fall down when it comes to implementation and the hard choices that accompany this process. In the end, the much vaunted State visit by the Chinese President to Harare was just a refueling stop on the way to Johannesburg and the summit of African leaders who came to hear how much Yuan would be on the table (or in the feeding trough) in the next three years. I wonder what he really thought of Harare and its “wheel barrow” President (I was most amused when his wife Grace said at a rally near here last week “that even if we have to put him in a wheel barrow to get him to Parliament, we will do so”. This alluded to the use of a wheel barrow as a makeshift ambulance to get the very ill to a clinic in the rural areas). However on Monday I watched from the side of the road as a massive cavalcade of Police outriders, Army Units, luxury cars, an ambulance and several small busses, sped by at high speed through the industrial sites into Harare. Minutes before the traffic had been gridlocked but all was swept aside as their imperial majesties made their way to town. The State banquet disappeared that night – quite understandable as I do not think I could take a flight to Paris on Friday night to attend the COP summit, then a Sunday flight to Harare and a State visit followed by a further flight to Johannesburg and another summit and round of speeches. In South Africa, the Chinese Premier did not disappoint but he also did not make a huge impact. The package of measures he outlined was modest in global terms especially as he was addressing the whole continent south of the Sahara. $60 billion in new money – $150 million for food aid (about quarter of a million tonnes of grain or 1,25 per cent of continental food aid needs this year). The rest in loans, most of which at concessional interest rates and the way the Chinese work in Africa, this is a lot of work for Chinese and this was clearly reflected in the heavy presence of enthusiastic Chinese at the Airport. The rumor mill in Harare speaks of pressure on Mr. Mugabe to retire and take his place in history. It also reports pressure piled on in South Africa, but says that the “Old Man” (as he is often referred to here), is resisting the advice. He thinks all around him are less than adequate (may be true) and that he is still the only one who can hold everything together (definitely no longer true). But it is his complete failure to recognise that his country is in deep crisis and that his failure to put in place a succession plan and to prepare for the inevitable day when he can no longer handle the responsibilities of State President, that poses the greatest threat to our stability and our ability to halt our rapid slide towards the status of a “failed State”. It’s not only the veld that is arid and dry here, the people are angry and tired and the sense that this simply cannot go on is rising daily. One spark and the county could be aflame. On a personal note, I and many others here are finding it impossible to meet the most basic needs of individuals and families that are literally going to bed at night, hungry. We come across such cases that need emergency help with all sorts of things, on a daily basis – just today I have given food assistance to four families who had nothing at home, found secure accommodation for a MDC activist on the run from the security services and who was living “rough” on the street and had not eaten for two days. We are surrounded by a sea of poverty and desperation. If you are giving to the many agencies that help people here in distress, then I am afraid I have to tell you that it is time to step up to the plate and do more. There are no such things as a pension in Zimbabwe and our thousands of elderly, many of who have given their whole lives in service here expecting to retire with dignity, are now destitute. I am personally going to try and make sure that my two Councilors have a stock of maize meal which they can use strategically to meet critical needs. The USA and Britain have put together a programme worth nearly $100 million to help the rural poor, but the situation in the towns receive little help.